White shallow square pop up gift box with white satin ribbon ties attached. This White Shallow Square Gift Box is part of our pop up range and is super simple to assemble. These stylish gift boxes come with white, 15mm wide, satin ribbon ties attached to the boxes for an excellent bow tied finishing touch. These gift boxes come flat-pack for minimal storage. 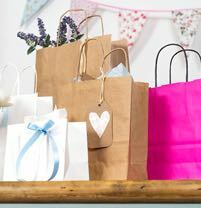 We recommend you test the weight of items in these gift boxes before making a full order. These boxes are recyclable once the ribbon ties have been removed. *These boxes can be off-set printed to suit your branding. Minimum order for this starts at 250 units. 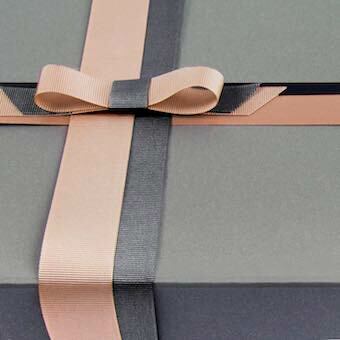 For more information please enquire by emailing bespoke@tinyboxcompany.com. Please note; printed items of these boxes cannot be purchased via the website. In order to receive this service, all orders need to be placed before 1pm the working day before (excludes orders placed on weekends and bank holidays). Should the buyer place their order after 1pm, it will be dispatched the next working day for delivery the following working day. 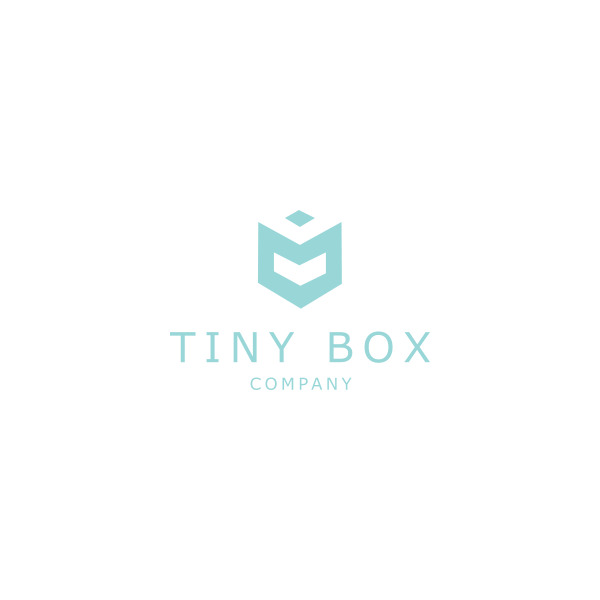 If there are any issues resulting in The Tiny Box Company being unable to dispatch for Next Working Day the buyer will be informed by telephone in the first instance and then by email if we are unable to reach you or leave a message. Please note that during busy periods, like Christmas there could be a delay in our courier delivering. Next working day is therefore NOT a GUARANTEED SERVICE. If your order does not reach you on a next working day we will refund the difference between the next day charge and the standard courier charge. Unfortunately the Next Working Day service is not for International deliveries and is not applicable to Highlands, Islands, Isle of Wight, Northern Ireland, Isle of Man, Isle of Scilly, Channel Islands and other remote parts of the United Kingdom. Please contact us if you need any further information. Please note; this does not apply to weekends or bank holidays. In order to receive this service, all orders need to be placed before 1pm on Friday (excludes orders placed on bank holidays) to receive for Saturday or Sunday. Orders placed on any other day of the week will be held and dispatched on Fridays. Should the buyer place their order after 1pm, it will be dispatched the next Friday for delivery the following weekend unless advised otherwise by the customer in advance. If there are any issues resulting in The Tiny Box Company being unable to dispatch for a Weekend delivery the buyer will be informed by telephone in the first instance and then by email if we are unable to reach you or leave a message. Please note that during busy periods, like Christmas there could be a delay in our courier delivering. If your order does not reach you on a weekend if all rules are complied with, we will refund the difference between the weekend charge and the standard courier charge. Unfortunately the Weekend service is not applicable to Highlands, Islands, Isle of Wight, Northern Ireland, Isle of Man, Isle of Scilly, Channel Islands and other remote parts of the United Kingdom. Please contact us if you need any further information. Please note; this may vary on bank holidays. 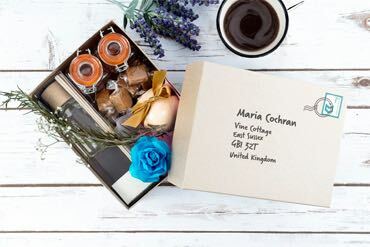 Tiny Box Company will endeavour to dispatch goods that are in stock as soon as possible, however if you are in a rush to receive your order please do not hesitate to give us a call or simply select Next Working Day Delivery at checkout before 1pm. If you are to choose the courier option for delivery please do ensure someone is there to receive the parcel. Should you need to leave any delivery instructions please do so at the checkout process in the ‘Delivery Instructions’ field. The courier company will attempt delivery twice before returning the goods to us. There will then be an additional charge to resend the items or we will refund the cost of the goods only. Our courier company is unable to deliver to BFPO addresses. When ordering, please ensure you put a company name where applicable. The courier company goes on company names more than building numbers, especially if you are located in a building with lots of companies. Where items are sent by Tracked courier these are sent by courier service and we are given a tracking number. Whilst every step is taken both by us and our courier service to ensure express delivery, this service is not guaranteed. Tiny Box Company Limited cannot be held liable for any consequential losses incurred, where deliveries are delayed or the incorrect items are sent. Delivery charges are calculated as follows for UK Mainland (excludes Channel Islands, Northern Ireland, Isle of Man, Isle of Wight, Isle of Scilly and Scottish Islands and Highlands). Channel Islands, Northern Ireland, Isle of Man, Isle of Wight, Isle of Scilly and Scottish Islands and Highlands carry a surcharge on the courier service. Overseas orders are dispatched via Fed-Ex or Interlink and can take between 2 and 7 days depending on your location. If your country is not on the dropdown menu at check out, please email your order to us at orders@tinyboxcompany.co.uk. We will then come back to you with a postal cost as soon as possible. Once an order has been made with the Tiny Box Company, no changes can be made after 3pm. For any parcels over 80000 grams, please check our website for the latest prices, alternatively call our customer service team on 01825 723832 for the latest information. The Tiny Box Company Limited uses Royal Mail services for smaller parcels where the weight is within the Royal Mail limits detailed below. The service used is Royal Mail tracked. A signature is therefore not always required and delivery times are between 3-10 working days. Where a signature is required and no one is available to sign, a Royal Mail card will be left detailing actions for a re-scheduled delivery.